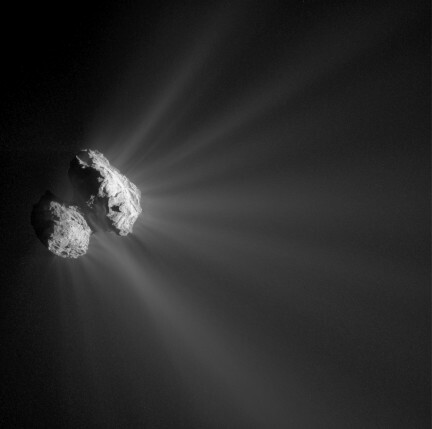 Somehow we missed this image of Comet Hartley in Nov of 2010. Now that the probe that was Deep Impact (known as Epoxy in the extended mission) has passed away, I thought it a good excuse to show this amazing shot which has far more detail than the two we published here previously. Deep Impact (now known as the Epoxi Mission) passes by comet Hartley 2 and takes the best images of an active comet that I have seen. Too many jets to count on the recently released set of images from closest approach. Apparently there is a huge number of higher resolution images still to come.